Probably the first skill that new entrants into Project Management learn is how to write a project management plan. 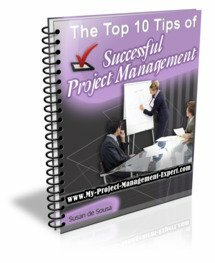 After all it is the skill most people associate with project management and is key to determining whether a project is feasible. Further without one it is virtually impossible to to state with any confidence whether the project is on track, on budget and without any potential resourcing conflicts. However quite often new Project Manager's get confused and forget that a project management plan is there to only talk about effort, skills and their associated costs. It is not a list of "things to do" nor is it best practice to ensure it is several thousand lines long. In fact it is simply there to demonstrate that the project timelines and deliverables are plausible and can be done utilising the budget stated. So the key thing a project management plan is there to do is to give an overview of the project so that it obvious to the Project Sponsors and others where it is at. Further it is mean't to be clear enough so that any interested person can pick it up and understand the route the project is taking to it's end delivery. This can sound much easier that it is. Many projects, particularly in the technology and construction areas are extremely complicated with many different teams required to deliver tasks in a certain specific order. These all need to be documented within the project plan along with the dependencies involved so that it is clear what task needs to be completed first before another gets started. So for example, testing cannot start until the piece of functionality being tested is developed first. To get an idea of what a project management plan would look like at a high level please see the example below. This has been done using Microsoft Project which is the project planning tool most used today in business. More information on these are contained within the other pages in this section. Remember that a project management plan is there simply to help you, the project manager get the project delivered and highlight any problems, or work you've missed. It is not there to be long, complicated and difficult to understand. Where project planning is concerned, simplicity really is the best route!